ALTHOUGH MUSEUMS ARE DESIGNED as repositories of history’s greatest stories, I often find that the most compelling narratives within those elegant walls, for the photographer in me, are provided by the visitors rather than the exhibits. We’ve seen this effect at zoos: sometimes the guy outside the ape house bears a closer resemblance to a gorilla then the occupant within. 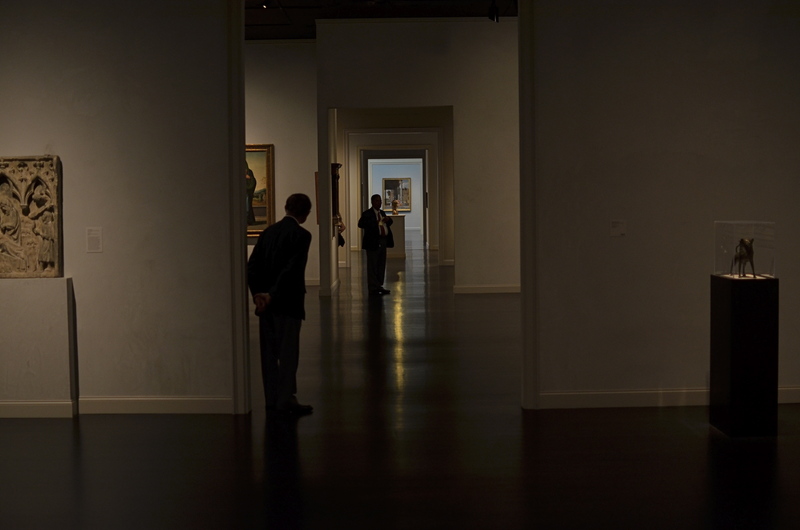 With the museum experience, making controlled, serene exposures of the artifacts is never as interesting as turning your reporter’s eye on the folks who came in the door. 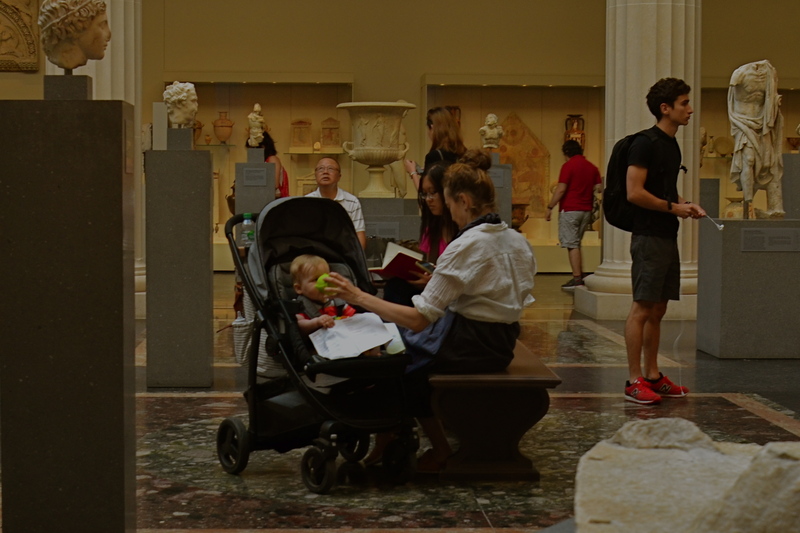 The juxtaposition of all the museum’s starched, arbitrary order with humanity’s marvelously random energy creates a beautifully strange staging site for social interaction….great hunting for street shooters. The sculpture gallery shown here, one of the most beautiful rooms in Manhattan’s Metropolitan Museum of Art, is certainly “picturesque”enough all by itself. However when the room is used to frame the chessboard-like weaving of live humans into the pattern of sculpted figures, it can create its own unique visual choreography, including the mother who would love to bottle-bribe her baby long enough to finish just one more chapter. Anyone who’s visited The Normal Eye over the years recognizes this museum-as-social-laboratory angle is a consistent theme for me. I just love to mash-up big art boxes with the people who visit them. Sometimes all you get is statues. Other times, one kind of “exhibit” feeds off the other, and magic happens. It’s a red ceiling. 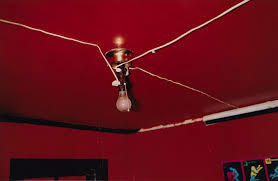 Don’t, says William Eggleston, look for anything else. MOST PHOTOGRAPHERS ARE NOT PRIME MOVERS, in that the majority of us don’t personally carve out the foundations of new truths, but rather build on the foundations laid by others. Art consists of both revolutionaries and disciples, and the latter group is always the larger. With that in mind, it’s more than enough for an individual shooter to establish a single beachhead that points the way for those who follow, and to be able to achieve two such breakthroughs is almost unheard of. Strangely, one of the photographers who did just that is, himself, also almost unheard of, at least outside of the intellectual elite. William Eggleston (b. 1939) can correctly be credited as one of the major midwives of color photography at a time that it was still largely black and white’s unwanted stepchild. Great color work by others certainly preceded his own entry to the medium in 1965, but the limits of print technology, as well as a decidedly snobby bias toward monochrome by the world at large, slowed its adoption into artsy circle by decades. After modeling himself on the great b&w street shooters Robert Frank and Henri Cartier-Bresson, Eggleston practically stumbled into color, getting many of his first prints processed at ordinary drugstores rather than in his own darkroom. His accidental discovery of the dye-transfer color process on a lab’s price list sparked his curiosity, and he soon crossed over into brilliantly saturated transparencies, images bursting with radiant hues that were still a rarity even in major publications. Eggleston’s work was, suddenly, all about color. That was Revolution One. Is it Eggelston’s job to provide the story context for this image? Or yours? or neither? Revolution Two emerged when he stopped worrying about whether his pictures were “about” anything else. Eggleston began what he later termed his “war with the obvious”, eschewing the popular practice of using photographs to document or comment. His portfolios began to center on mundane subjects or street situations which fell beneath the notice of most other shooters. 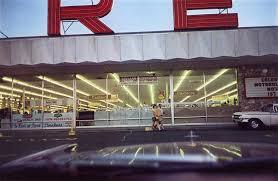 The fact that something was in the world was, for Eggleston, enough to warrant having a picture made of it. A street sign, an abandoned tricycle, a blood-red enameled ceiling..anything and everything was suddenly worth his attention. However, as can frequently happen in the long arc of photographic history, Eggleston’s work reverberates today in the images created by the Instantaneous Generation, the shoot-from-the-hip, instinctive shooters of the iPhone era who celebrate randomness and a certain hip detachment in their view of the world. As a consequence of Eggleston’s work, images have long since been freed of the prison of “relevance”, as people rightfully ask who is qualified to say what a picture is, or if there is any standard for photography at all. Thus does the obvious become a casualty of war. 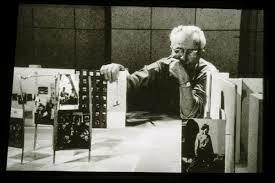 Edward Steichen looks over a scale model of the 1955 Family Of Man show, the most famous photographic exhibit of all time. I FEEL THAT THERE SHOULD ALWAYS HAVE BEEN A NOBEL PRIZE FOR PHOTOGRAPHY, just as there always has been for literature. Why one of the lively arts should be deemed more capable of uplift or inspiration than another is beyond me. I even think that a photo Nobel might be more inspiring, overall, than the majority of images that cop the journalistic Pulitzer prize each year, since so many of the winning entries focus on horror, loss, war, and suffering….you know, the stuff that sells newspapers. If there ever had been a Nobel for photography, I can think of no more obvious winner than the legendary Family Of Man exhibit, mounted by Edward Steichen, which just observed its sixtieth anniversary with a marvelously updated edition of its original catalogue book. Steichen, who in 1955 was the director of photography for the Museum of Modern Art, was himself a grand master of still-lifes, portraits, fashion, architectural, and even floral studies, whose own output towered over the world for over seven decades. However, he used the Family show not to showcase his own work but to show the universality of the human experience across every culture on the planet, as interpreted by over 273 photographers in 69 countries. Mounted in cooperation with the United States Information Agency as a diplomatic tool, The Family Of Man celebrates those things that unite us, not the petty divisions amplified by journalists and other mischief makers. It is an inventory of births, deaths, weddings, rituals, weddings, wars, discoveries, and delights. It is a miraculous catalogue on the phenomenon of being human. 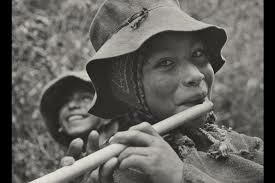 The Peruvian flute player whose portrait became the official visual logo of the Family Of Man project. Over the years, the optimistic message of Family Of Man fell victim to the ironic detachment and busted ideals of several generations of hipper-than-thou cynics, some criticizing it as a Pollyanna-ish vision of mankind, others saying that it rendered many individual photographers faceless by jumbling all their work together. In fact, all photos in the exhibit are captioned with their creator’s name as well as his/her nation of origin. And as for hope being the antithesis of honest art…well, if you hold that belief, you’re wasting your time here. 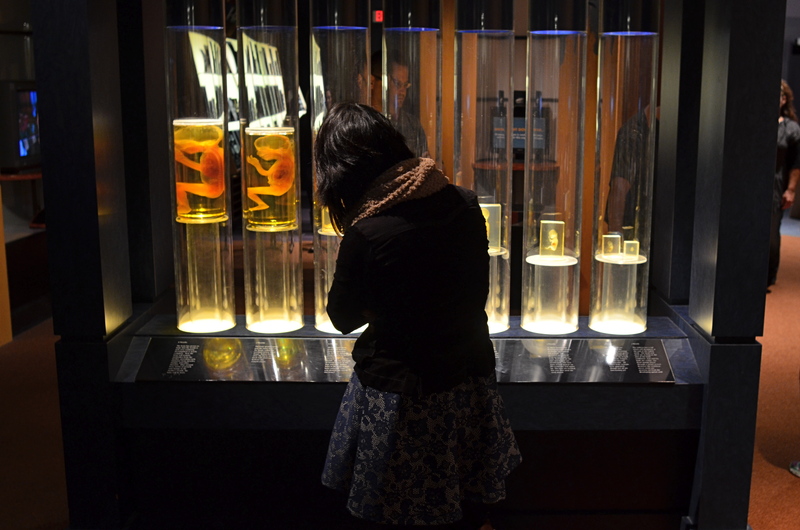 The fetal gestation timeline at Columbus, Ohio’s Center Of Science & Industry. 1/60 sec., f/3.5, ISO 500, 24mm. ONE OF THE RITES OF PASSAGE FOR SCHOOL KIDS IN COLUMBUS, OHIO IN THE 1960’s was a field trip to the Center of Science and Industry, or COSI, one of the nation’s first interactive tech museums, mounted before either the terms “interactive” or “hands-on” were common parlance. In those JFK-flavored days of early space exploration and Jetson-gee-whiz futurism, flying cars and picture phones seemed our inevitable legacy, and the Center’s exhibits often veered closer to the World’s Fair than the science fair, its dazzling displays often trumping pure enlightenment. A generation later, the sizzle lingers in the mind a little better than the steak. Something to work on. Science was presented as something of a magic trick then, a sure and certain answer to all human needs and desires. But to my tween-sized mind, it also retained an air of mystery, something wondrously alien to my daily experience. Few of COSI’s exhibits from the time created more of a sense of wonder in me than an illuminated timeline of fetal gestation, with each crucial stage between embryo and newborn illustrated by a separately preserved specimen of a transitional human that never made it to the delivery room. As fascinating as the display was, it was also a little creepy, somewhat like, if you will, viewing pre-mummies from a colony of visitors from the future. In a recent visit to the new COSI, now re-located to a larger, brighter HQ across from Columbus’ downtown riverfront, I was both amused and amazed to see that the timeline had been retained in nearly the same way I remembered it from 1964. Having survived to the era of iPhones and DNA mapping, its dim, the strange, amber-glow profiles still had a hypnotic effect on me, housed as they were in a dark, shadowy sector of the museum, sealed within a showcase that distorted the faces of passersby, even as it shrouded their bodies in mystery. For the shot you see here, I liked the strange juxtaposition of the exhibit’s clinical coldness with the form of a young visitor, casually viewing the timeline as if it were no more notable than a collection of butterflies. I shut the exposure down so that the case provided the only light, opened the lens as far as I dared for the right depth of field, and jacked the ISO slightly to compensate for the murky room ambience. The COSI of the New Frontier years was always a place that could cast science in a distinctly optimistic light. In 2015, I hoped to re-imagine that magic through the insight of an additional fifty years of living. Mood in photography is created as much by what you conceal as by what you reveal, and trying to get that balance right is 90% of the game. You and Scooby and Shaggy meet us at the old dark house: one of the many great exhibits at Tucson’s Mini-Time Machine Museum of Miniatures. EVER SINCE GULLIVER GOT HIMSELF HOG-TIED BY LEGIONS OF LILLIPUTIANS, we have been fascinated with the contrast between the VERY BIG and the VERY..small. The history of photography is pretty peppered with its share of dinky dioramas, miniature models and teensy-weensy mockups and the cool pictures they inspire. On the silver screen, still photography’s stepchild, the motion picture, launched the careers of thousands of miniaturists in its first half century, genius modelers who could create Tokyo on a tabletop, then have a guy in a rubber Godzilla suit reduce it to splinters. 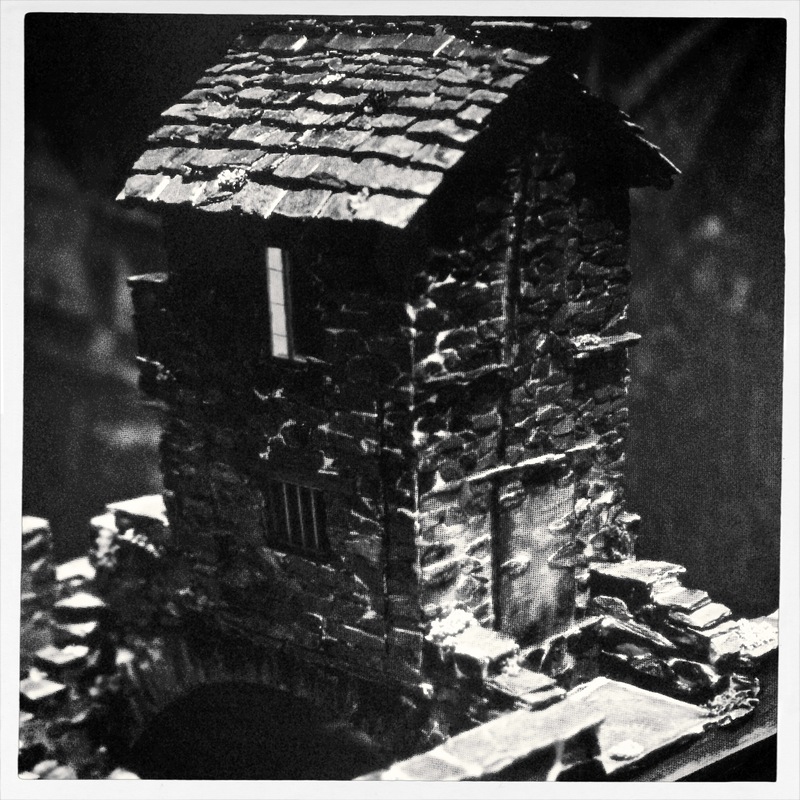 In another vein, kidlings that were 3-D fans also got their tiny on during the decades that the makers of View-Master told fairy tales in stereo, not with animation cels, but with their own separate miniature studios at the company’s HQ in Portland, doing so-close-you-can-touch-it takes on everything from Donald Duck to the Wizard of Oz. And photographically, the idea was always the same: make this look like the real thing. Oddly, in recent years, there’s been a bit of a double-reverse going on with miniatures with the creation of optics like the Lensbaby, a low-fi version of a tilt-shift lens that throws selective parts of the frame out of focus, allowing you, according to Lensbaby fans, to take a normal street scene and “make it look like a miniature model”. At this point we leave Photography class and walk down the hall to Irony 101, in which we learn that it’s cool to make something real look fake. Seriously. I always feel like a sneak trying to make a fake thing look real, and now, it seems, I’m off the hook, since it’s not about the fakery but how cool we all agree we are in doing it (okay, I need to think about that one for a bit). In the meantime, consider a visit to one of the world’s most amazing collection of all things small and awesome at the Mini-Time Machine Museum of Miniatures in Tucson, Arizona. This place makes a large impression, one little object at a time. Photograph away to your heart’s content (no flash), and make the fakes look real, or fanciful, if you’re in the cool kids group. Either way, it’s big fun (that was the last one, I swear). 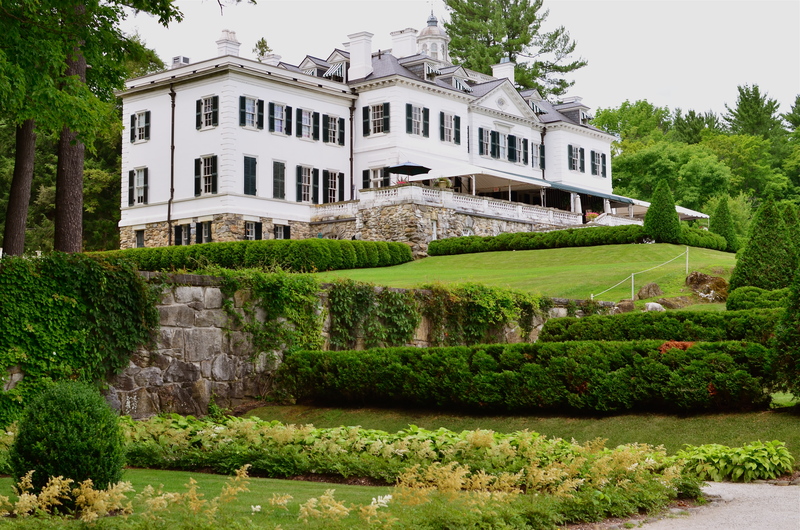 The Mount, Edith Wharton’s Berskshire Estate, now a working museum. LONG BEFORE HER NOVELS THE AGE OF INNOCENCE, ETHAN FROME, AND THE HOUSE OF MIRTH made her the most successful writer in America, Edith Wharton (1862-1937) was the nation’s first style consultant, a Victorian Martha Stewart if you will. Her 1897 book, The Decoration Of Houses, was more than a few dainty gardening and housekeeping tips; it was a philosophy for living within space, a kind of bible for combining architecture and aesthetics. Her ideas survive in tangible form today, midst the leafy hills of Lenox Massachusetts, in the Berkshire estate her family knew as “The Mount”. Wharton only occupied the house from 1902 to 1911, but in that time established it as an elegant salon for guests that included Henry James and other literary luminaries. Although based on several classical styles, the house is a subtle and sleek counter to the cluttered bric-a-brac and scrolled busyness of European design. Even today, the house seems oddly modern, lighter somehow than many of the robber-baron mansions of the period. Many of its original furnishings went with Wharton when she moved to Europe, and have been replicated by restorers, often beautifully. 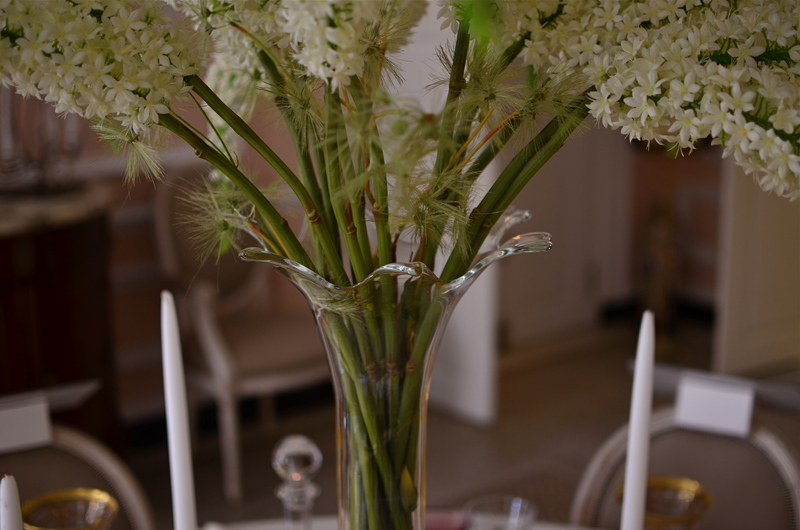 But is in the essential framing and fixtures of the old house that the writer-artist speaks, and that is what led me to do something fairly rare for me, a photo essay, seen at the top of this page in the menu tab Edith Wharton At The Mount. The images on this special page don’t feature modern signage, tour groups, or contemporary conveniences, as I attempt to present just the basic core of the estate, minus the unavoidable concessions to time. The house features, at present, an appealing terrace cafe, a sunlit gift store, and a restored main kitchen, as part of the conversion of the mansion into a working museum. I made no images of those updates, since they cannot conjure 1902 anymore than a Mazerati can capture the feel of a Stutz-Bearcat. The pictures are made with available light only, and have not been manipulated in any way, with the exception of the final shot of the home as seen from its rear gardens, which is a three-exposure HDR, my attempt to rescue the detail of the grounds on a heavily overcast day. Take a moment to click the page and enter, if only for a moment, Edith Wharton’s age of elegance. The Visitor Center at Los Angeles’ Getty Museum. 1/1600 sec., f/5.6, ISO 100, 35mm. PHOTOGRAPHIC SUBJECT MATTER, ONCE YOU’VE TRAINED YOURSELF TO SPOT IT, is always in ready supply. But, let’s face it: many of these opportunities are one-and-done. No repeats, no returns, no going back for another crack at it. That’s why, once you learn to make pictures out of almost nothing, it’s like being invited to a Carnival Cruise midnight buffet to find something that is truly exploding with possibilities, sites that actually increase in artistic value with repeat visits. I call such places “labs” because they seem to inspire an endless number of new experiments, fresh ways to look at and re-interpret their basic visual data. My “labs” have usually been outdoor locations, such as Phoenix’ Desert Botanical Gardens or the all-too-obvious Central Park, places where I shoot and re-shoot over the space of many years to test lenses, exposure schemes, techniques, or, in the dim past, different film emulsions. 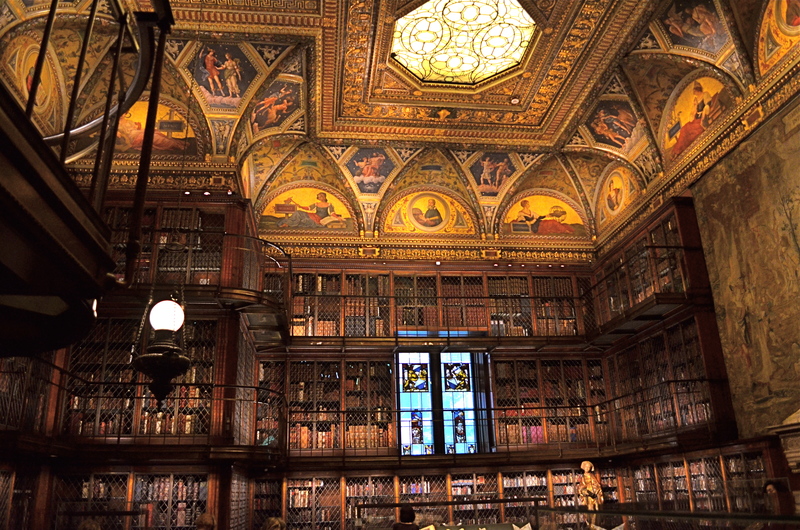 Some places are a mix of interior and exterior and serve purely as arrangements of space, such as the Brooklyn Museum or the Library of Congress, where, regardless of exhibits or displays, the contours and dynamics of light and form are a workshop all in themselves. In fact, some museums are more beautiful than the works they house, as in the case of Guggenheim in NYC and its gorgeous west coast equivalent, The Getty museum in Los Angeles. No color? No problem. Interior view of the Getty’s visitor center. 1/640 sec., f/5.6. ISO 100, 35mm. 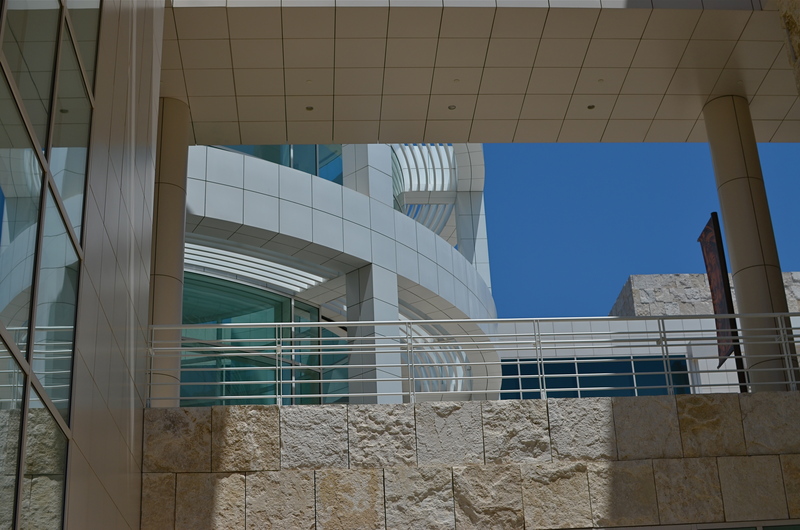 Between the gleaming white, glass-wrapped buildings of this enormous arts campus and its sinuous, sprawling gardens (not to mention its astounding hilltop view), the Getty takes one complete visit just to get yourself visually oriented. Photographically, you will find a million isolated tableaux within its multi-acre layout upon subsequent trips, so there is no end to the opportunities for exploring light, scale, abstraction, and four full seasons of vibrant color. Not a color fan? Fine. 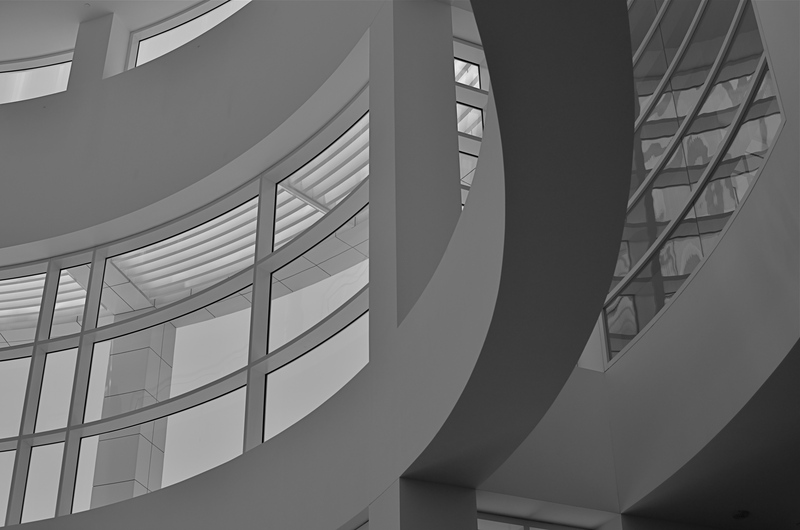 The Getty even dazzles in monochrome or muted hues. It’s like Toys ‘R’ Us for photogs. I truly recommend laying claim to a laboratory of your own, a place that you can never truly be “finished with”. If the place is rich enough in its basic components, your umpteenth trip will be as magical as your first, and you can use that one location as a growth graph for your work. Painters have their muses. Shooter Harry Calahan made a photographic career out of glorifying every aspect of his wife. We all declare our undying love for something. And it will show in the work. SPACE, BY ITSELF, DOESN’T SUGGEST ITSELF AS A PHOTOGRAPHIC SUBJECT, that is, unless it is measured against something else. Walls. Windows. Gates and Fences. Demarcations of any kind that allow you to work space compelling into compositions. Arrangements. I don’t know why I personally find interesting images in the carving up of the spaces of our modern life, or why these subdivisions are sometimes even more interesting than what is contained inside them. For example, the floor layouts of museums, or their interior design frequently trumps the appeal of the exhibits displayed on its walls. Think about any show you may have seen within Frank Lloyd Wright’s Guggenheim museum, and you will a dramatic contrast between the building itself and nearly anything that has been hung in its galleries. What I’m arguing for is the arrangement of space as a subject in itself. Certainly, when we photograph the houses of long-departed people, we sense something in the empty rooms they once occupied. There is fullness there inside the emptiness. Likewise, we shoot endless images of ancient ruins like the Roman Coliseum, places where there aren’t even four walls and a roof still standing. And yet the space is arresting. In a more conventional sense, we often re-organize the space taken up by familiar objects, in our efforts to re-frame or re-contextualize the Empire State, The Eiffel, or the Grand Canyon. We re-order the space priorities to make compositions that are more personal, less popular post card. And yet all this abstract thinking can make us twitch. We worry, still, that our pictures should be about something, should depict something in the documentary sense. But as painters concluded long ago, there is more to dealing with the world than merely recording its events. And, as photographers, we owe our audiences a chance to share in all the ways we see. Rainy day, dream away. Griffith Observatory under early overcast, 11/29/13. 1/160, f/5.6, ISO 100, 35mm. 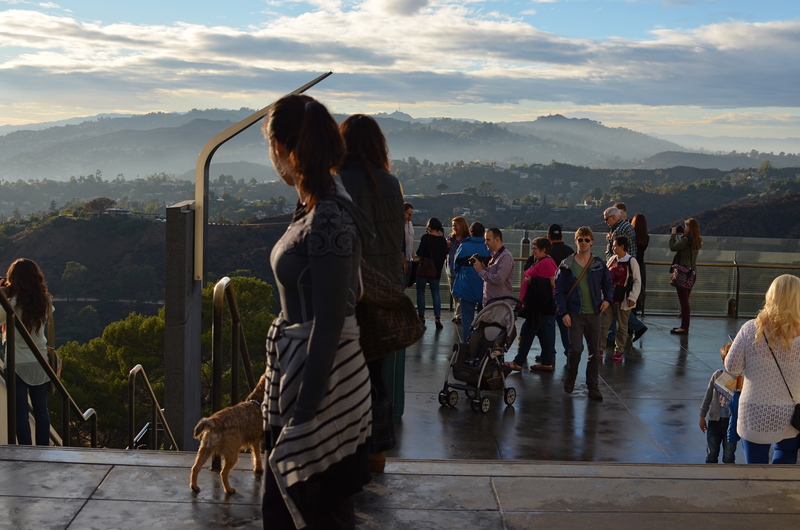 VISUAL WONDERS, IN EVERY HOUR AND SEASON, ARE THE COMMON CURRENCY OF CALIFORNIA’S GRIFFITH OBSERVATORY. The setting for this marvelous facility, a breathtaking overlook of downtown Los Angeles, the Hollywood Hills, and the Pacific Ocean, will evoke a gasp from the most jaded traveler, and can frequently upstage the scientific wonders contained within its gleaming white Deco skin. And when the light above the site’s vast expanse of sky fully asserts itself, that, photographically, trumps everything. For, at that moment, it doesn’t matter what you originally came to capture. You’re going to want to be all about that light. 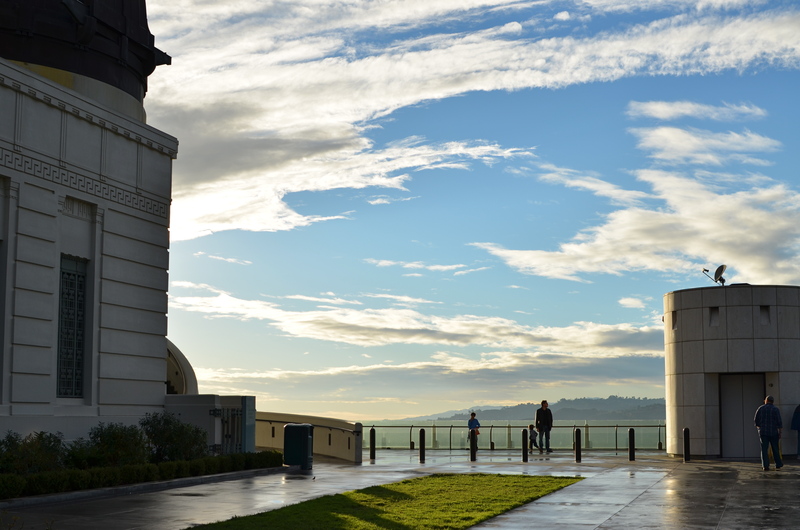 Upon my most recent visit to Griffith, the sky was dulled by a thick overcast and drenched by a slate-grey rain that had steadily dripped over the site since dawn. 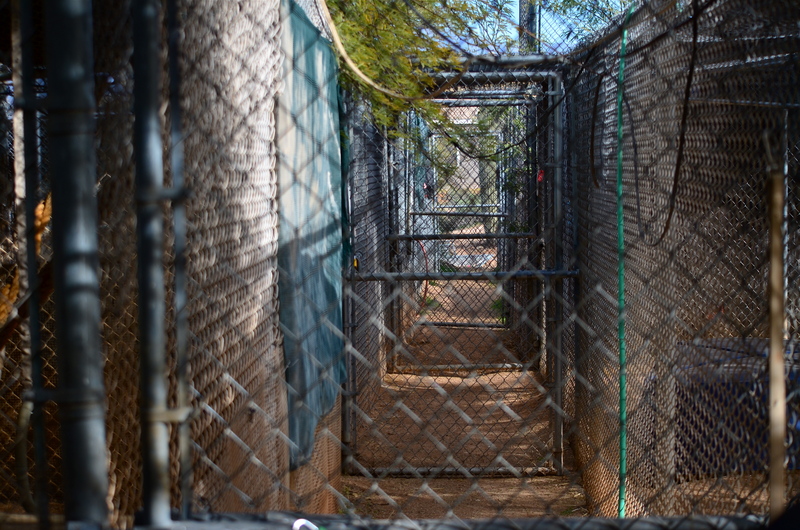 The walkways and common decks were nearly deserted throughout the day, chasing the park’s visitors inside since the opening of doors at noon. By around 3pm, a slow shift began, with stray shafts of sun beginning to seek fissures in the weakening cloud cover. 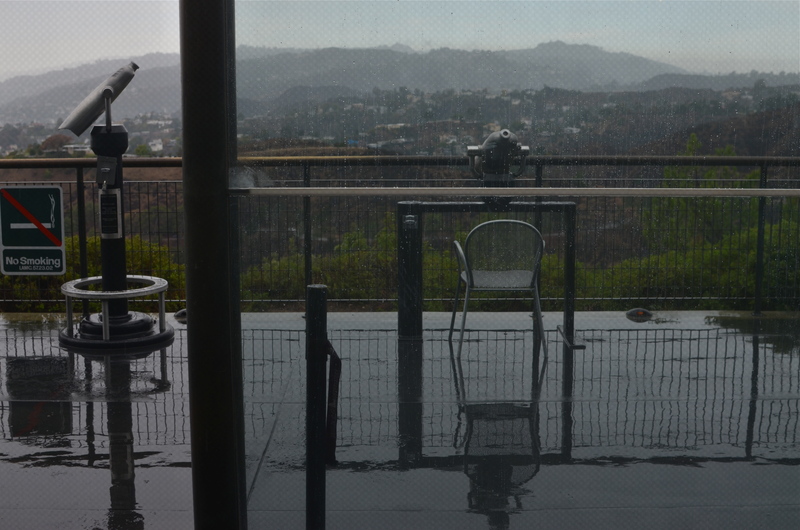 Minute by minute, the dull puddles outside the telescope housing began to gleam; shadows tried to assert themselves beneath the umbrellas ringing the exterior of the cafeteria; the letters on the Hollywood sign started to warm like white embers; and people of all ages ventured slowly to the outside walkways. 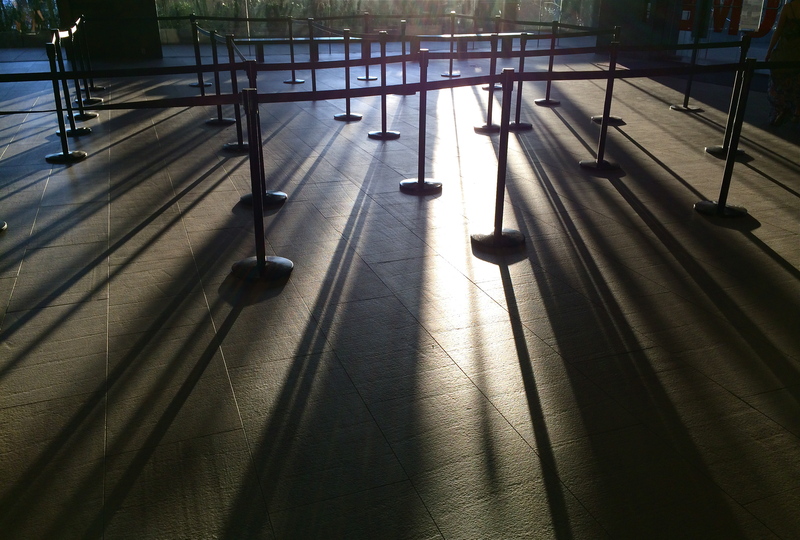 The moment the light broke, Griffith’s common areas after the rain,11/29/13. 1/640 sec., f/5.6 (this image), f/6.3 (lower image), ISO 100, 35mm. By just after 5 in the afternoon, the pattern had moved into a new category altogether. As the overcast began to break and scatter, creating one diffuser of the remaining sunlight, the fading day applied its own atmospheric softening. The combination of these two filtrations created an electric glow of light that flickered between white hot and warm, bathing the surrounding hillsides with explosive pastels and sharp contrasts. For photographers along the park site, the light had undoubtably become THE STORY. Yes the buildings are pretty, yes the view is marvelous. But look what the light is doing. Like everyone else, I knew I was living moment-to-moment in a temporary, irresistible miracle. The rhythm became click-and-hope, click-and-pray. And smiles for souvenirs, emblazoned on the faces of a hundred newly-minted Gene Kellys. There really was a nice exhibit on display the day I took this at LACMA in Los Angeles. But this arrangement of space was arguing louder for my attention. 1/160 sec., f/1.8, ISO 320, 35mm. 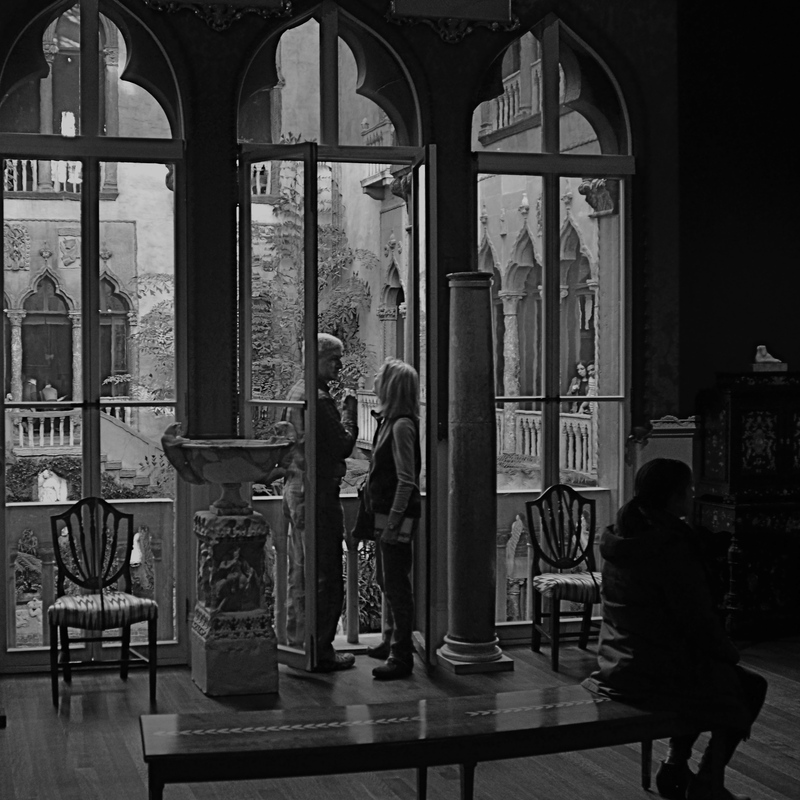 IF YOU VISIT ENOUGH MUSEUMS IN YOUR LIFETIME, you may decide that at least half of them, seen as arranged space, are more interesting than their contents. It may be country-cousin to that time in your childhood when your parents gave you a big box with a riding toy inside it, and, after a few minutes of excitement, you began sitting in the box. The object inside was, after all, only a fire engine, but a box could be a mine shaft, a Fortress of Solitude, the dining car on the Orient Express, and so on. Spaces, divided, bisected, hidden, revealed. Art in itself. 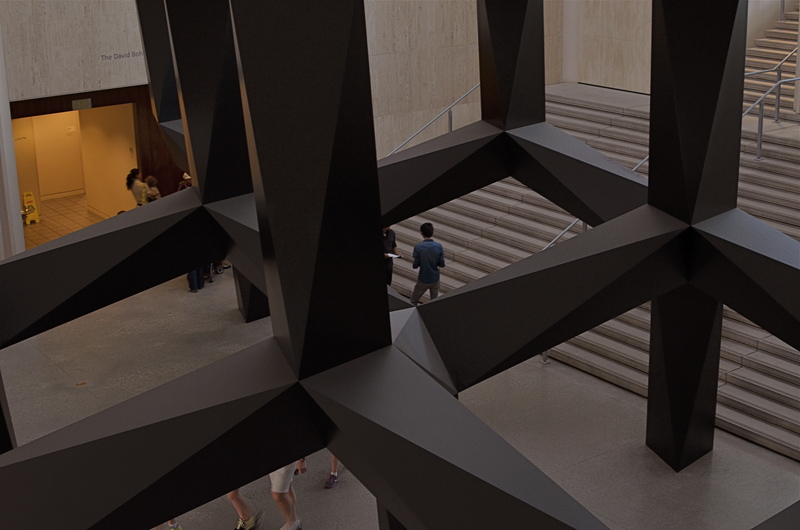 I truly do try to give lip service to the curated exhibits and loaned shows that cram the floors and line the walls of the various museums I visit. After all, I am, harumph and ahem, a Patron Of The Arts, especially if said museums are hosting cocktail parties and trays of giant prawns in their hallowed halls…I mean, what’s not to like? However, there are times when the endless variations on just a room, a hall, a mode of lighting, or the anticipatory feeling that something wonderful is right around the next corner is, well, a more powerful spell than the stuff they actually booked into the joint. Spaces are landscapes. Spaces are still lifes. Spaces are color studies. Spaces are stages where people are dynamic props. Recently spinning back through my travel images of the last few years, I was really surprised how many times I took shots inside museums that are nothing more than attempts to render the atmosphere of the museum, to capture the oxygen and light in the room, to dramatize the distances and spaces between things. It’s very slippery stuff. Great thing you find, also, is that the increased light sensitivity and white balance controls on present-day cameras allow for a really wide range of effects, allowing you to “interpret” the space in different ways, making this somewhat vaporous pursuit even more …vaporous-y. In the end, you shoot what speaks to you, and these “art containers” sometimes are more eloquent by far than the treasures they present. That is not a dig on contemporary art (or any other kind). It means that an image is where you find it. Staying open to that simple idea provides surprise.